Mazda has released a limited-edition MX-5 to commemorate the production of the popular nameplate's 900,000th unit. To be launched at the upcoming Chicago Auto Show, the Mazda MX-5 Miata Special Edition receives special touches to the interior. Exclusive features include the gray door trim and heated leather seats with gray stitching, black leather-wrapped parking brake and steering wheel with contrasting gray stitching, and chrome treatments on the air vents and instrument cluster to complement the aluminum pedals. On the outside, the Mazda MX-5 Special Edition units are available only in Sparkling Black Mica or Dolphin Gray Mica to go with the 17-inch Bright Finish aluminum alloy wheels. While the MX-5 is available in either soft top or power retractable hard top form, the Special Edition is equipped with the latter which can go from roof up to roof down in 12 seconds. As the MX-5 is a track favorite of many weekend racers, Mazda made sure the Special Edition's features are not limited to just aesthetic upgrades. Performance tweaks given to the Special Edition model include Bilstein shocks, a limited slip differential and a sports-tuned suspension. 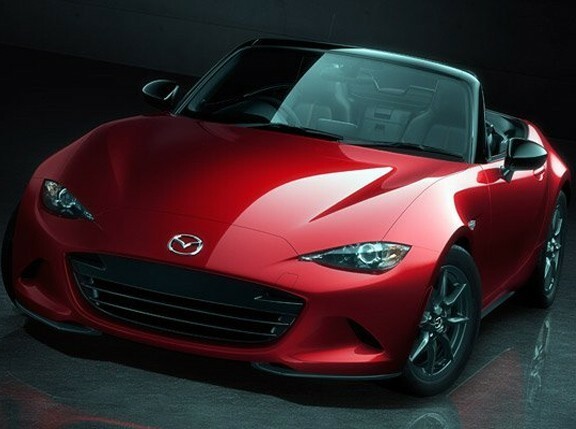 Only the United States is getting the Mazda MX-5 Special Edition units--all 750 of them. After all, American car buyers have bought nearly 45 percent of the 900,000 MX-5 ever produced.